One of the main characteristics of Cablescom is manufacturing high quality products. Since years ago, Cablescom stands out as a manufacturer of quality cables. One of the fundamental pillars on which the quality of Cablescom products is based on is their behaviour against fire, since these products are used in constructions where safety is essential. The official publication of standard EN 50575, which defines the new Regulation of Construction Products (No 305/2011), implies a further step improving the safety of all citizens combining efforts to reduce the devastating effects caused by fire. With this new regulation, all products involved in constructions and engineering are classified according to their fire reaction. 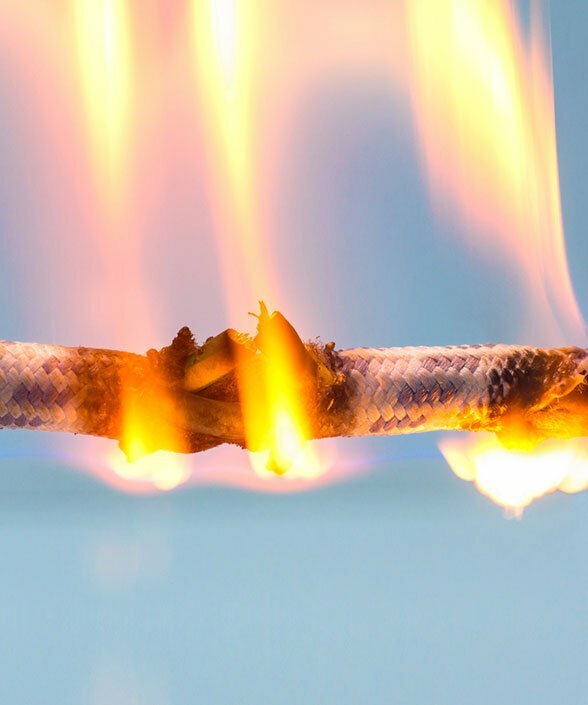 In order to get the classifications, standard tests are carried out to determine properties of the cables in the event of a fire, such as flame propagation, acid level or smoke production, among others. Cablescom R&D team has adapted processes, products and facilities to the new European regulation with the aim of offering to every customer cables certified and classified by notified organisms according to their fire reaction. From July 1st, 2017, the standard requires all cables sold in Europe to comply with the regulations. Cablescom products do it. Cablescom offers its clients all the information they require about CPR Regulations and invite them to consult any doubts that may arise.